Note: The examples below represent the exact verbiage that was included in our U.S. Patent application. References to existing patents were added as part of the application and appear below in parenthesis. Some of these examples reference a "mortgage broker", but at this time we believe that "Mortgage Loan Compensation Rules" prevent mortgage brokers from participating in our program. 1. Customer is promised a refinance for 90% of the value of his home by a mortgage broker, in this case, a loan of $180,000 based on a $200,000 home value.�Customer has a 675 credit score.�A $500 guaranteed amount has been promised to the applicant if the final terms differ from the initial terms.�The loan officer forgets that a 680 score is required for 90%, and a customer with a 675 score qualifies for only 85% of the value, or $170,000.�As the promised percentage of value has not been delivered, the $500 guaranteed amount must be paid to the customer by the mortgage broker. 2. Customer inherited $30,000. She applies to her local bank for a $120,000 mortgage, planning to use this $30,000 as a down payment on a $150,000 house. She has been on her job for six months after finishing her associates degree. She makes more than enough money to pay for the mortgage. She is approved. A $1,000 guaranteed amount has been promised to the applicant if the final terms differ from the initial terms. The loan officer knew that all borrowers need a two year work history unless they have recently graduated from college. Since this applicant had just graduated, he gave her initial loan approval. During underwriting a senior bank employee points out that the two year work history can only be waived if the applicant has just finished a four year degree. As this applicant has only finished a two year associates degree, the loan is rejected without a counteroffer. (With this fact pattern, the bank cannot loan the applicant $10,000 even if she makes a $140,000 down payment). As the promised loan is not made, the $1,000 guaranteed amount must be paid to the customer by the local bank. 3. Customer is approved at their local bank to buy a house with a 5% down payment on a Fannie Mae mortgage, fixed for 30 years at 5.5%. A mortgage broker chats with the customer at a bar and tells him he can get him a United States Department of Agriculture (USDA) mortgage for 0% down, also fixed for 30 years at 5.5%. The customer withdraws their Fannie Mae application at their local bank and applies with the mortgage broker. A $750 guaranteed amount has been promised to the applicant if the final terms differ from the initial terms. Two weeks before closing, the USDA lender tells the broker that the mortgage does not meet USDA guidelines because the house has a built-in swimming pool. Therefore, the broker goes back to the customer and offers him the same 5% down Fannie Mae loan that his local bank had offered him. As the promised 0% down payment loan has not been made, the $750 guaranteed amount must be paid to the customer by the mortgage broker. 4. A customer is approved at their local bank for a “construction to permanent” mortgage. The interest rate will be variable during the construction period and then convert to a 30-year fixed rate when the house is completed. A $500 guaranteed amount has been promised to the applicant if the final terms differ from the initial terms. The customer closes on this mortgage, and the bank disburses the construction funds until the house is completed and the customer moves in. Then, at the time the bank is supposed to convert the mortgage to a 30-year fixed rate, the local bank’s secondary marketing department realizes that because the house has solar heating they can’t sell the loan as planned and they need to keep it on their books. (The solar heating was part of the construction plans that the bank reviewed before approving the mortgage.) Their by-laws don’t allow them to keep any 30-year fixed rate mortgages on their books, so they offer the customer a mortgage with a rate fixed for 5 years that will then become variable rate. As the promised 30-year fixed rate loan has not been made, the $500 guaranteed amount must be paid to the customer by the local bank. 5. A husband and wife own six investment properties. Rates have come down and they apply to their local credit union to refinance them all. The loan officer tells the customer that the credit union has a policy of making no more than four mortgages to any single customer. Because the credit union has great rates and low fees, the husband and wife volunteer to split up the joint ownership of their six pieces of real estate so they each own three properties solely. Their loan officer checks with the credit union's underwriter and she approves making all six loans after these deed transfers take place. For each of the six loans, a $1,000 guaranteed amount has been promised to the applicant if the final terms differ from the initial terms. The day before closing, the credit union's senior underwriter reviews the files and decides that the ownership splitting, while meeting the letter of the guideline, violates its spirit, and will only allow four of the six loans to close. As only four of the six promised loans are made, the guaranteed amount must be paid on the other two loans ($2,000 total) by the credit union to the customer. Scenarios 6-10 below are the same as 1-5 above. However, a way has been found to match the final terms to the initially disclosed terms so no guaranteed amount has to be paid. Also, a closing cost guarantee has been added to the scenarios. Examples when a Guaranteed Amount was offered and will not be paid because the final terms match the initial terms; however, a closing cost guarantee has been made and comes into play. 6. Scenario #1 above, except an error is found on the customer's credit report. When it is corrected, the customer has a 690 score and the loan is made as promised. Therefore no guaranteed amount has to be paid as all of the initial terms are met. The customer has also been given a closing cost guarantee. Two of the many closing costs were a $1,000 Origination Fee and a $50 fee to determine if the property is located in a Flood Zone. The mortgage broker's processor who prepared the closing cost guarantee figures forgot that the outside company that checks the Flood Zone maps has recently increased their fee from $50 to $75. When she gets ready to send the closing cost figures to the lender, she visually inspects the initially disclosed closing costs and compares them to the final closing costs she is preparing. At this point she catches her error. To honor the closing cost guarantee, she reduces the Mortgage Broker Origination Fee to $975. These costs are adjusted at the closing so the customer is still charged the total amount of closing costs initially disclosed. There is no amount "paid" to the customer even though one of the closing costs was increased between the time of the initial estimate and the time of the closing when the final charges were disclosed. Rather, one of the other initial costs is reduced by an equal amount to satisfy the closing cost guarantee made to the customer. 7. Scenario #2 above, except further research into the mortgage guidelines shows that since the borrower's job is in the specific field that she earned her two year degree, there is no need for a four year degree, so the loan can be made on the initially promised terms. Therefore, no guaranteed amount has to be paid as all of the initial terms are met. Again, a closing cost guarantee was given. Two of these cost components are a $1,500 origination fee and a $350 appraisal fee. When the appraiser goes to the property, the real estate agent fails to meet him there to let him in as planned. The appraiser therefore charges an additional $50 for having to make a return trip. To insure that the local bank maintains its closing cost guarantee, when the loan is in the closing department the Closer (Closer is the title of a bank employee who prepares the loan papers for closing) enters the final closing costs into a (Schaffe-like) software program. The program flags that the appraisal is $50 higher than initially disclosed. The Closer therefore reduces the origination fee in the (Schaffe-like) software program to $1,450 and reruns the software program. The program now approves the final closing cost figures as the total amount is the same as initially disclosed. 8. Scenario #3 above, except the seller agrees to fill the pool with cement so USDA will approve the loan as promised. So no guaranteed amount has to be paid as all of the initial terms are met. As mentioned in scenario #3 a closing cost guarantee has also been made. There are no points or origination fee on this loan. Two of the disclosed costs were a $450 processing fee (payable to the mortgage broker) and a $400 attorney closing fee (payable to an attorney chosen by the mortgage broker). On the day of the closing, there is a power outage at the attorney's office so he cannot access his closing software. The broker finds another attorney willing to close with short notice, but his standard closing fee is $500. To maintain the closing cost guarantee he made, the mortgage broker reduces his processing fee to $350. 9). Scenario #4 above, except just before closing, the local bank establishes a relationship with Freddie Mac and they will buy the 30-year fixed rate mortgage with solar heating. Prior to that, the bank sold all of its loans to Fannie Mae and they wouldn't accept solar heating. So no guaranteed amount has to be paid as all of the initial terms are met. As in all these cases, a closing cost guarantee has been made. Two of the closing cost components are a one point origination fee of $2,000 and a $400 appraisal fee. The appraisal photos were taken before the landscaping was completed, which is allowed by Fannie Mae. However, Freddie Mac requires the appraiser to take new pictures after the landscaping is completed, so he increases his appraisal fee by $100 for a total of $500. The bank therefore reduces its origination fee to $1,900 in order to maintain its closing cost guarantee. 10. Same scenario as # 5 above, except the senior underwriter says she'll allow all six closings if the closing attorney will search the titles going back five years to make sure the husband and wife have owned the properties for at least five years. If they have, she thinks that shows stability and makes her willing to allow all six loans. It turns out that they have owned all the properties for more than five years. Therefore, all six loans close, so no guaranteed amount has to be paid as all of the initial terms are met. A closing cost guarantee was also given by InterFirst under its OneFeeSM program. The lawyer charged an additional $50 per property to do a five-year title search ($300 total). His regular fee only covers a two-year search. Therefore, the bank waives its $300 administrative fee on one of the loans. Unfortunately, sometimes there is no way for the mortgage provider to fix their mistakes, as the following scenarios show: The examples in #'s 11 through 15 are also the same scenarios as in Examples #'s 1 through 5. However, unlike example #'s 6 through 10, the mortgage professional has not found a way to correct their error and deliver the initially disclosed terms, so the guaranteed amount must still be paid. Examples 11 - 15 show the financial and emotional damage suffered by the borrowers due to the mortgage professional not delivering the initially disclosed terms. Examples where the mortgage provider chose not to offer a guaranteed amount when the final terms differ from the initial terms and "Extra Effort" is not enough to deliver the initially promised terms. 11. Same scenario as in #'s 1 and 6 above, except the customer's credit report is accurate and 675 is their legitimate score. The reason the customer sought a cash out loan is because their daughter had a scholarship fall through at the last minute and this cash was needed by a date certain for her to be allowed to enroll for her senior year at a private high school. A mortgage for 85% of the home's value does not provide enough cash. The customer finds another lender that will loan 90% at 675, but by the time the customers find out the original lender won't make the loan, they are only three days away from the date certain, and the new lender needs at least four weeks to underwrite and close a loan. The high school feels badly, but cannot let their daughter enroll. She has to transfer to a poorly rated public high school for her senior year, which may affect which colleges accept her. The loan officer also says he's sorry, but because he's on salary he isn't even losing a commission on this loan. Perhaps if the lender offered and had to pay a guaranteed amount, a portion of which would affect the loan officer's Annual Bonus, he would be more careful next time. 12. Same scenario as in #'s 2 and 7 above, except the four year degree is absolutely required without a two year work history. 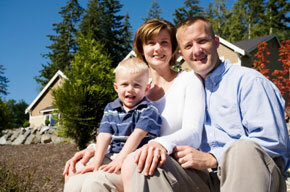 In fact, no other mortgage provider can be found who can work around this requirement. When the local bank tells the customer they cannot make the loan, the customer is already past the "mortgage contingency date" on her Purchase and Sales Agreement, so she forfeits the $5,000 deposit she made. The customer has also paid $400 for an appraisal, $250 for a home inspection, and $150 for a pest inspection. Her current landlord says she has to move as she re-rented her apartment when she gave notice she was leaving. The customer is out $5,800 and suffers a lot of aggravation because her loan officer was ignorant of his guidelines. Maybe if the bank offered a guaranteed amount and part of that amount came out of the loan officer's commission on his next loan, he'd be more careful next time. 13. Same scenario as #'s 3 and 8 above, but now the seller is not willing to fill in the swimming pool, so the buyer goes forward with the 5% down Fannie Mae loan. Unfortunately, rates have gone up from 5.5% to 6.0% in the six week period before the borrower is told he cannot have the USDA loan. As the Fannie Mae program is different from the USDA program, the lender the broker is working with will not allow the broker to transfer the 5.5% rate lock, so the customer has to go with the 6.0% rate. The lender even makes the broker treat the USDA loan as a rejected loan, and treat the Fannie Mae loan as a new application. To add insult to injury, the lender's underwriting charge is $150 more for a Fannie Mae loan and the bank insists on imposing that fee. The customer is furious and really wants to take the loan to a different broker and lender entirely, but the lender agrees to a "rush underwriting" so the customer sticks it out as they are supposed to close on their purchase and move 10 days from now. The broker tells the customer not to worry, that he'll refinance him when rates come back down. The broker doesn't point that out because there will be closing costs on the refinance, and it won't make sense to do it until rates decrease to at least 5.0%. In the meantime the customer has to pay $60 more per month. Rates don't go down to 5.0% for another six years, so the customer pays $60 x 12 x 6 or $4,320 more because the broker put him in the wrong program. Maybe if the broker had some skin in the game in the form of having to pay a guaranteed amount, he'd have more carefully reviewed the USDA guidelines and asked the customer if the house had a built-in swimming pool before he issued his initial approval. 14. Same scenario as #'s 4 and 9 above, except the Freddie Mac guidelines also don't allow solar heating, so the customer accepts the rate fixed for five years. The bank does, at least, stick to its closing cost guarantee. After four and a half years, the customer goes back to the bank to discuss refinancing. At that time, solar heating is more common and both Fannie and Freddie now accept it. Rates are on the high side, so the bank and the customer decide to watch the rates over the next six months while the customer's rate is still fixed. Unfortunately, during the next six months it becomes apparent that the country is in a period of high inflation and the Federal Reserve raises rates rapidly to rein it in. Fixed rates were 6.0% five years ago. They are at 9.0% when the customer's five year fixed period ends, and even the current adjustable rate is 8.5%. The customer cannot afford this payment and ultimately ends up in foreclosure. The customer goes to an attorney, but because the bank's initial approval five years ago said "this approval is subject to final underwriting approval" there is no legal recourse and the customer loses the house. If the bank had been on the hook to pay a guaranteed amount, maybe it would implement a construction loan checklist to include the type of heat instead of just letting the loan officer "wing it" and let underwriting catch his mistakes. 15. Same as scenarios #'s 5 and 10 above, except the senior underwriter refuses to budge. All appeals by the loan officer and the original underwriter fail to persuade her. The credit union makes four of the loans, but turns down the other two. On all four loans, the credit union does honor its closing cost guarantee. (As the other two loans don't close, the closing cost guarantee does not apply. The customers lose the $900 they paid for these two appraisals.) Rates have gone up during this process so it's not worth it for the customers to go to another mortgage provider to refinance the other two properties. In reality, the senior underwriter knows that the guidelines allow for all six loans to be made and she's even let loans close under this guideline several times with loans originated at other credit union branches. The real reason she turns down two of the loans is she's angry at the loan officer for refusing to work Saturday mornings. (She could even harbor a secret prejudice against the loan officer or the customer's race, religion, or national origin.) By turning down these two loans, she satisfies her anger or prejudice and it doesn't hurt her as she's already "made her numbers" for the month. Perhaps if the credit union had to pay a guaranteed amount, it would reflect poorly on her (or even affect her paycheck) and she would act more honorably.